Apostle Ayotunde Omideyi was born into the household of James and Patience Omideyi on the 4th of June 1945. He was the second child of 6 siblings; three brothers and two sisters. At birth he had a mysterious life threatening condition, which he was not expected to recover from. In anticipation, he was swiftly named for death certificate purposes. However, seven days later he recovered miraculously. His education began at St Jude’s Primary School, Lagos, under the strict tutelage of his well remembered headmaster, the late Pa Odugbose, and he went on to attend Igbobi College from 1960 to 1966. At the college he was always proud of, and which his father also attended, he was a school prefect and very active in drama. 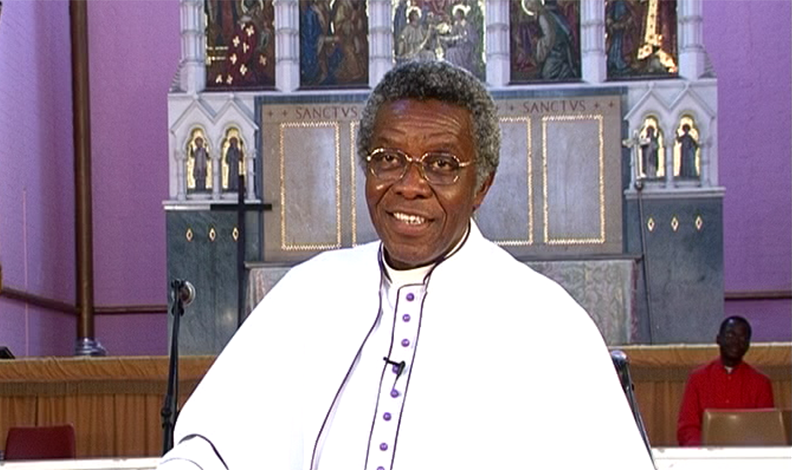 He was also the first Chaplain of the UK Igbobi College Old Boys Association (ICOBA). He enrolled in the University of Ibadan in 1969 in order to study Biochemistry. As the son of a renowned organist and choirmaster he became involved in music and soon became leader of the Student Christian Movement Choral group on the campus. It was at the Christ Apostolic Church (Bethel) Abadina on the university campus that he became a born anew Christian. The late Mama, Prophetess Christiana Ogunranti was instrumental in his conversion and played an important role as his spiritual mother. He had a unique spiritual experience in which the Lord gave him two light bulbs representing the Old and the New Testament which were fused to become one in his hands. This was the source of his notable gift of understanding and teaching the word of God. A founding member of the Christ Apostolic Church Student Association, he became its first secretary in 1971 when it was registered. His tenacious zeal and uncompromising faith caused him to experience persecution during his studies and in obtaining his qualification, by those who deemed he was “unsettling the campus with prayers”. Yet, his zeal, faith and belief in the Lord did not abate. He did not realise that the Lord had different plans for him. In 1972, he was ordained a Pastor in Christ Apostolic ChurchNigeria. With his background and interest in Biochemistry he went on to become a science teacher in a secondary school in Kabba, Nigeria where he taught until 1973. 1973 became a turning point in his life when the Lord commissioned him to go to England to set up the firstChrist Apostolic Church (CAC) in Europe and outside Africa. Although reluctant, he obeyed and arrived in Britain on January 1st 1974. Once in Britain, he set about organising a house fellowship in Finsbury Park, North London. In spite of juggling studies, employment and house fellowship, he graduated from Chelsea College, University of London in 1978 and for a brief period, was employed at the North Middlesex Hospital as a scientific officer. The house fellowship flourished and birthed the first Christ Apostolic Church (CAC) in Europe and outside Africa. 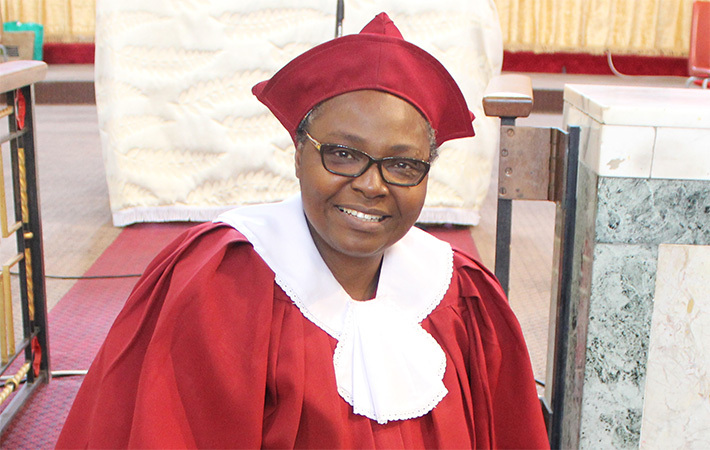 His junior brother, the late Superintendent Pastor Olusegun Omideyi, was the pioneering member, (supporting and working with him for many years) later joined by Pastor EK Toluwase and Evangelist Jane Mahama. In time the church grew and after moving site to Haringay Road, North London, the Lord directed him to the current site and headquarters. In 1980, when his Church moved to occupy the Grade 1 listed buildings of St Columbus Church on Kingsland Road, with limited funds, he masterminded its refurbishment from 1980 to date. He was a ‘labourer’ and was always hands-on in his involvement with the work force. With support from church members and obedience to the Lord’s direction, the building became habitable and the church took up occupancy. The ‘bed-sit’ fellowship had grown and moved into a cathedral! In 1983 Pastor Ayo Omideyi was ordained an Apostle and in 1986 he set up the Sower International Evangelical Ministry the evangelical arm of the church. Over the years The Apostle has visited and held revivals in the Midlands, Wales, and in various countries – Romania, Bermuda, Philippines, Tanzania, Ghana, Ivory Coast, Kenya, America, Spain, Italy, Nigeria, to name just a few. 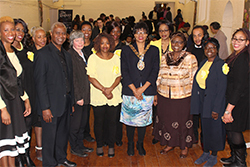 Within his community he initiated the formation of two organizations: The African Churches Council for Immigration and Social Justice (ACISS) in 1988 to assist African Immigrants in particular with regularization of their immigration status and the African Immigrants Bureau (AIB) which was the successor of ACISS in 1991. The Nigerian Renaissance Movement (NRM) was founded in 1995, a political based organization in Nigeria founded on strong Christian beliefs to educate and improve on the quality of lives of Nigerians. A training project for unemployed people to gain computing skills was also set up at this time. As an encourager of young people, he started the idea of encouraging the debating and discussion of topical issues in the society as well as public speaking through The Schools Debating and Public Speaking Project. Branches have been established in Tanzania and Nigeria with a prayer ground, ‘David Camp’ in Sango-Otta Nigeria. In 2003 the Lord opened a door for the Apostle to broadcast the Word on international television, via Christian Television Channel (CTC). In 2004 the broadcast was transferred to the (OBE) Original Black Entertainment channel on Sky Television. These programs generated interest for Christians and non – Christians alike and through them many souls have been delivered and won unto the Lord, peace restored and healing received. He inherited the love of music and he and his entire family have been blessed with musical talents. Music was an important feature of his ministry, both at home and on the mission field. He enjoyed singing and playing the organ and took a particular interest in the church’s choir, ensuring that the offering they gave to God was of the highest standard. His pulpit was not limited to the church – he taught everywhere and anywhere, in the kitchen, at the roadside, in the aeroplane, wherever there was an audience, he never missed an opportunity to teach the word of God. A blunt and fearless speaker of the truth, he ruffled feathers where others feared to tread. Forthright in his actions, his integrity was such that he would never mix God’s money with his personal money, giving account for every penny spent. He had such unflinching faith, which made him unstoppable in anything he set his mind to do. God came first, regardless of the law, culture or tradition. A humble man that he was, he was never ashamed to confess his errors that others may learn from it to save their souls. He was never afraid of unpopularity, always singing, ‘If no one joins me, still I will follow – no turning back, no turning back’. An indefatigable worker, he lost any sense of time or personal comfort when it came to doing God’s work. Materialism meant nothing to him and he opted for basic amenities for the sake of saving the church’s finance. He was a pain to the powers of darkness. He battled against them relentlessly, refusing to compromise or mortgage his soul to the devil, gaining victory through Christ Jesus! He was at his best when in the midst of his flock teaching, whether the word of God, or on any topic. They were his friends, family and students. He had a wide range of knowledge and could converse on any subject from politics to nature; and would comfortably engage with the most sophisticated adult or the smallest child. He had a gift of “whipping” you with the truth and ending the conversation on a humorous note with his distinctive smile! May the foundation which Apostle Ayo Omideyi has laid continue to be built upon by those who have learnt at his feet. May his zeal for the Lord, his Master, inspire all who have been privileged to work with him. May his own unique brand of humour, joy and fellowship be remembered with fondness. May the impact on the lives he has touched never be erased from their memory. May his teachings become a blessing and a source of inspiration to all who have heard them. He is survived by his wife, Prophetess Fadeke Omideyi, children and grandchildren. As we say goodbye to our ‘Daddy’ ‘Granddad’ ‘Baba’ or ‘Papa’ we are comforted in the knowledge that he has: “ fought the good fight, has finished the race, has kept the faith”.